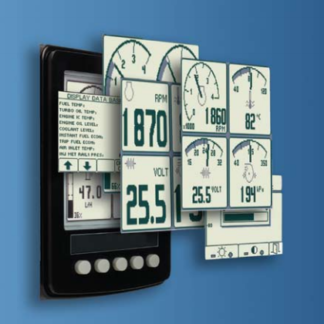 The SKIM (Smart KAn Interface Module) is the perfect platform to empower your electronics with flexibility and control. The SKIM module providesengineers with the flexibility and freedom to design electronic control systems for vehicular applications and stand alone applications. This uniqueproduct is a flexible module that interfaces between external devices and a CAN (J1939) network. The SKIM is a family of modules with configurableI/O’s (Input/Output) that accept either analog, digital or frequency input signals or can generate frequency or PWM output signals, and can communicatewith other CAN-based modules. Each I/O can be individual configured as either an Input or an Output with KA’s user friendly PC ConfigurationTool. The SKIM is also designed for universal (12/24VDC) applications.These compact, fully sealed units are IP67 rated to provide extended service life in the harshest environments. The SKIM is available in either 2 or 8I/O’s (depending on model), and have integrated mounting holes and wire tie locations for easy mounting in any application. There are several accessoriesavailable for the SKIM including a PC Configuration Tool, mating connector kits and wiring harnesses. 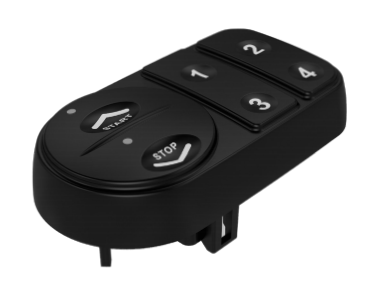 The SKIM (Smart KAn Interface Module) is the perfect platform to empower your electronics with flexibility and control. The SKIM module provides engineers with the flexibility and freedom to design electronic control systems for vehicular applications and stand alone applications. This unique product is a flexible module that interfaces between external devices and a CAN (J1939) network. The SKIM is a family of modules with configurable I/O’s (Input/Output) that accept either analog, digital or frequency input signals or can generate frequency or PWM output signals, and can communicate with other CAN-based modules. Each I/O can be individual configured as either an Input or an Output with KA’s user friendly PC Configuration Tool. 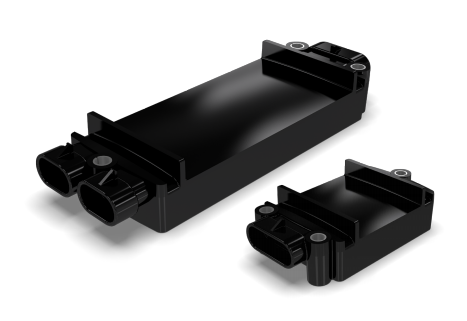 The SKIM is also designed for universal (12/24VDC) applications. These compact, fully sealed units are IP67 rated to provide extended service life in the harshest environments. The SKIM is available in either 2 or 8 I/O’s (depending on model), and have integrated mounting holes and wire tie locations for easy mounting in any application. There are several accessories available for the SKIM including a PC Configuration Tool, mating connector kits and wiring harnesses.